A best practice is to have a Certificate of Insurance state the policy period for each policy it describes. If you need that coverage to continue beyond the stated policy period, another best practice is to follow up for a renewal certificate. Consider whether this could be added as a term in the contractual requirement for a Certificate of Insurance. For example, let's say your company embarks on a major expansion of its facility, and the work is expected to take 18 months. Your company hires a general contractor, and your agreement with the contractor requires it to provide Certificates of Insurance regarding several types of coverage – such as commercial general liability, errors and omissions, workers compensation, and business auto – as to itself and for all subcontractors it hires. 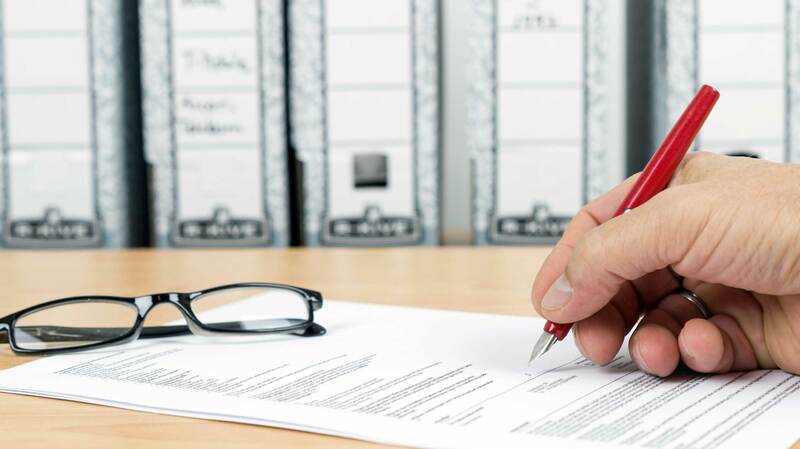 Because insurance policies often are written for one-year periods, the certificates you receive at the outset of the job might list policies with policy periods that could terminate during the course of the project. Therefore, consider whether you could ask that the policies be maintained or renewed at least through the duration of the work and that new certificates be provided as each policy is extended or renewed. Then, a best practice would be to follow up to make sure you actually receive those certificates and review them with the same care and diligence as if the project were starting all over again. Continuing with the example of your company expanding its facility, consider the unfortunate circumstance that one of the general contractor's policies is canceled during the policy period or expires without being renewed. Depending on the terms of the contract and applicable statutory or common law, you might have a range of possible remedies. Identifying them is beyond the scope of this post. The point, however, is to consider how to address the problem, the potential for a possible gap in insurance coverage and who can help you determine next steps. A Certificate of Insurance might be very helpful even after the conclusion of the policy period of all the policies it describes. Take our example of the facility expansion project. Assume that a year after the job was completed, the plant manager complains that excessive heat in the building is causing equipment to break down and your company's products to fail their standard quality control tests. General liability insurance policies often are written on an "occurrence," rather than "claims made," basis. Therefore, the policy in place at the time of the property damage or bodily injury often is the insurance policy that could provide coverage, even if a claim is made after the policy period. If you still have the Certificates of Insurance, you have valuable information about the insurance policies that may, among other things, become a source of recovery for the damages you allege. In the past, a Certificate of Insurance was typically delivered on paper or by fax. Now it's more commonly delivered by email, usually as a PDF attachment. Recently, the Memorandum of Insurance has emerged as another electronic method of providing insurance information. Rather than a paper document or PDF attachment, a Memorandum of Insurance is typically delivered by providing a web link to the information. This can be a more efficient method of delivery if the policyholder has to provide its insurance information to many other parties at various times throughout a given policy period. Moreover, if the policyholder's insurance program changes from time to time, not just at an annual renewal, the memorandum can be updated almost immediately. Plus, someone with viewing access to the memorandum usually can save or print a copy. In light of this, consider whether a Memorandum of Insurance is basically the same thing as a Certificate of Insurance, just delivered in a more modern way that may be advantageous in some situations. All the other best practices above and in my previous post should be considered in the context of a memorandum as well. Kenneth M. Gorenberg is a partner in the Chicago office of Barnes & Thornburg LLP and a member of the firm's Litigation Department. Mr. Gorenberg's insurance practice focuses on a number of complex issues for corporate policyholders. In addition to litigation of coverage disputes and negotiation of non-litigated but high exposure insurance claims, he performs insurance coverage analyses to help his clients understand and manage the risks associated with their existing operations and the risks they may acquire through corporate transactions. He also works closely with corporate risk...[email protected] 312-214-5609.